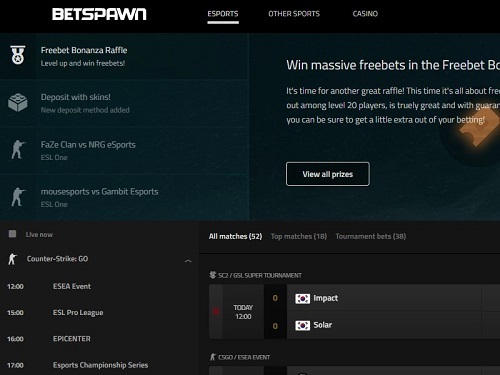 If you’re looking for a great place for esports betting, you’ll want to check out everything that Betspawn has to offer. In this Betspawn review, you’ll get to know more about the characteristics of this betting site including live betting, live streaming, casino games, design review and more. Are you ready to have fun? Then take a look at this review and sign up for the site! The most important thing new players want to know about is the sign-up bonus. This bookmaker provides new gamers with a Betspawn bonus of up to €133.70 for three sets of deposits, with an extra 100%/ 50%/ 25% match on a new player’s first, second and third deposits. However, as usual with these bonuses there are wagering requirements. In this case, players must wager 12x the first bonus and 14x the second and third bonuses before they can be withdrawn. The operator gives players 120 days to fulfil these requirements. Also, the bonus code money can only use for the sportsbook, the minimum deposit is €10 and only bets with odds of 1.50. 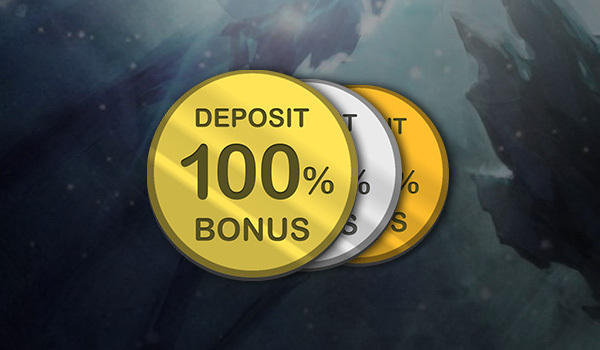 Lastly, the bonus money can only be used for bets with odds equal to or greater than 1.70. If the odds are lower, the bet will be placed from the players’ real money deposit and will not be counted towards the wagering requirement. Except for the competition rewards and the sign-up bonus, it seems that the bookmaker does not provide any other promotions. But players can pay close attention to the official promotion channels to get some information because the operator sometimes will offer some prize giveaways to promote special competitions and events. Therefore, players should tick the box that gives the site permission to send promotional emails associated with new games and giveaways like freebies, free bets, prizes and other valuable gifts. Though not all of have live streaming betting, the most popular ones like Dota2 and League of Legends do provide players thrilling live streaming and a betting service. As players click into the game, they can also see the real-time odds on the central table. On the right sidebar, players can manipulate their stake with single or combo options easily. Just like live betting at sports events in real life, players can place bets during live streaming of esports at Betspawn. This means players can watch exciting games and bet on what happens next. However, not every match is available for live streaming and it all depends on the event size. Additionally, live odds fluctuate during the games so betting swiftly will be a player’s best strategy. All in all, live betting is definitely one of the most appealing features of this website. If players get tired of esports, they do not need to switch to a different website, because Betspawn has online casino games as well as offering various types of games to their players. In addition, those online games are not only top of the line, but interesting and exciting for customers as well. For instance, Starburst is available to those players who want to try their hand at slots and Jack or Better will be a favourite for players who like videopoker. In addition, there’s a live casino section featuring all the classics, such as roulette, baccarat and poker in the form of Texas Hold’em. Betspawn provides a variety of payment options so that players can easily deal with wagers. First of all, SkinPay is the most popular and convenient payment method because it is specifically made for e-gaming platforms and the processing time is only within 15 minutes. Additionally, they also accept major credit cards including VISA or MasterCard but the processing time is around 2-3 days which takes a long time compared to other payment methods. If players are fond of blockchain and Bitcoin, they can use Cubits as a payment method. Moreover, e-wallets such as ecoPayz, Neteller, Qiwi and Skrill are also all accepted by this site. Before customers pay their deposits, they should take a look at the maximum and minimum deposits for the site as well. In a nutshell, online players can quickly find the most suitable way with four kinds of currency to pay their deposits and they do not need to worry about being limited when they want to withdraw their money. Customer Service is also an essential part of a betting website. Like other gaming websites, this operator provides several customer service channels for players so that gamers can easily find ways to answer any questions. To start with, before players decide to contact the customer service, they can go through its FAQ page to check if their problem can be solved there. Betspawn’s FAQ page offers detailed information from betting and payments to account bonuses and free bets. If they can’t find the answers they need from the FAQ, betting fans can message the customer service team through the website’s live chat or send an email. If customers send emails to contact the customer service, their problems will usually be fixed in a very short time. However, their service is not available 24 hours so players will need to be patient over holidays. All in all, this bookmaker has various customer service channels that players can use to reach out if they have a question about the site. Betspawn cooperates with the best live streaming service, Twitch, to give players an exciting experience for betting. When betting enthusiasts are watching esports, they can place bets at the same time. They can even watch several live tournaments at once. These are some of the most exceptional features available on this website. This website rises above its competitors with a modern, outstanding and user-friendly interface. Many betting websites not only look old-fashion but they have a disorganized design so that customers quickly quit playing. Nevertheless, when entering this site, the dark background brings betting fans to browse high-stake games at the beginning and the clear layout allows players to find any information they want straight away. In general, the user interface is an important element for players and Betspawn meets that need. Betspawn is an online real-money betting platform, owned by Betspawn AB, licensed by the Curacao eGaming Authority and operated by Carambit Entertainment B.V. Many casino websites do not provide players with mobile apps, but this operator offers gaming players iOS and Android mobile apps. Furthermore, the site is using HTML5 which makes it mobile friendly. This means that devotees of esports can bet using their phone anywhere and at any time. 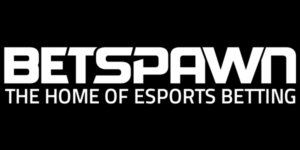 Betspawn legit is a great site which provides players brand new forms of esports games, and this operator has a real shot at becoming the forerunner in the esports industry. Though there is no doubt that this site has some minor disadvantages such as lack of real-time customer service and low limited stakes, players love the site because it offers a generous bonus, live streaming and stylish web design.